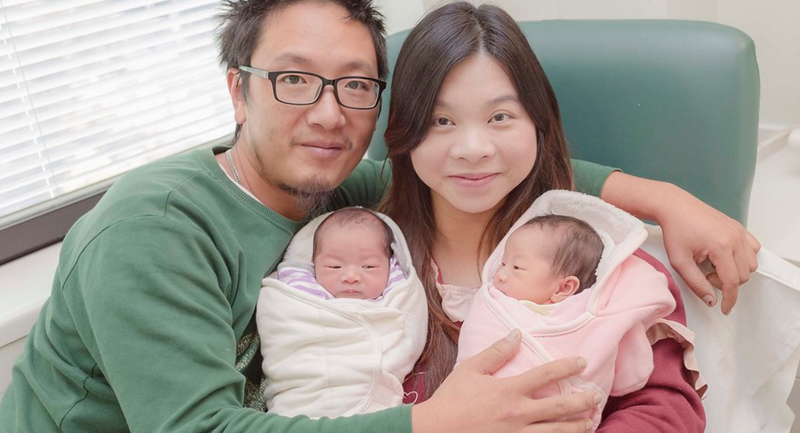 John and Fentyan Has Chen with their twin girls Lola and Yulia. Photo credit: Olga Nebot. Get ready for some serious Mother’s Day cuteness. As part of a Western Sydney University (WSU) campaign, letters of support were hand delivered to new mums at Westmead Hospital today. WSU has been reaching out to Australian mothers and asking them to share their insights and wisdom on navigating the early days of motherhood with the launch of their Mother’s Day Letters project. Professor Virginia Schmied from Western Sydney University said the letters were written by mums who shared their experiences of who and what helped in the early weeks of learning how to care for a newborn. “At Western Sydney University, we are committed to promoting resilient motherhood and celebrating diverse approaches to parenting. The best way to do this is to share real experiences of women who have been there with those who are just starting out,” Professor Virginia Schmied said. Reema and Sumit Kapoor with their baby girl who was born at Westmead Hospital today. Photo credit: Olga Nebot. WSU researchers will also use the letters to help collate a list of the most helpful support from family, friends and services and tips for the early days, which will be released for mothers on the website later this year. Headed up by the School of Nursing and Midwifery, the Mother’s Day Letters project will capture the real-life experiences of mothers and enable them to share exactly what helped support them on their new and exciting journey to parenthood. Mothers can read and send letters by visiting westernsydney.edu.au/mothersdayletters.